This a seascape at night. 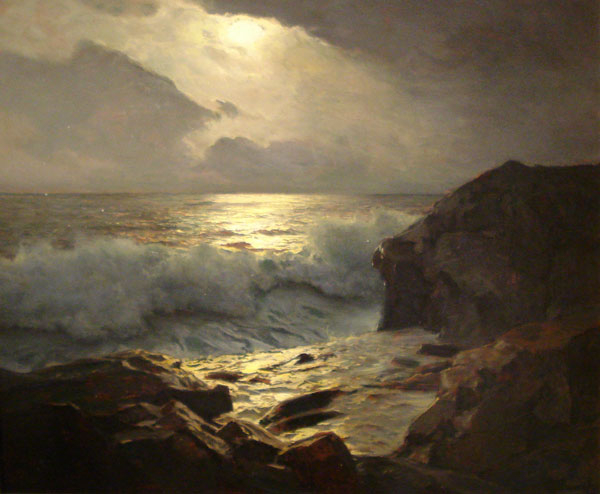 A painting by Frederick Waugh. I wonder where he came up with his idea? No, it is not my color sketch for a foggy, moon lit, night time seascape. But it did give me an idea for a future painting. You will actually need to stand on your head to see the source.... go ahead ... I'll wait. Remember this one? (Yes I am still working on it.) 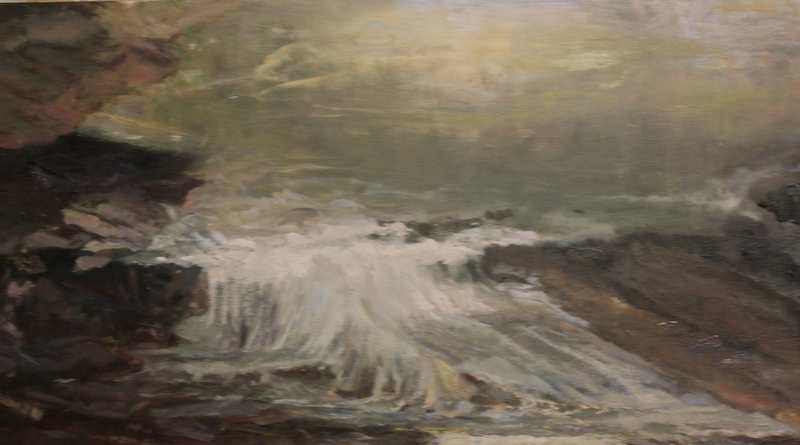 The sea at night sketch is actually this painting turned over and cropped. So, if you are runnning dry on ideas, (running dry is very dangerous for seascape painters) you can turn over a new leaf, or better yet turn over an old painting. You may be surprised at what you see. Here are the latest progress shots of this painting. You have to go back quiet a few posts to see when and how I started. I am working all over the place - making the rocks rockier, making the background fall back, giving the trees some form and the water some foam. Too much splash in those waves on the left and not enough contrast between foreground and middle ground. It's coming along. 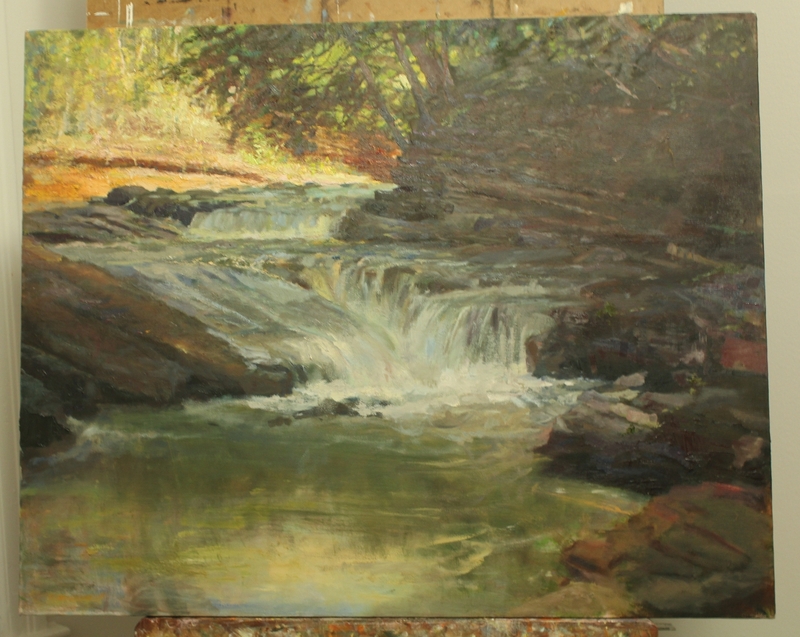 I added a leaf or two, detailed some of the rock, then worked... reworked ...and reworked the falls. I still need to work on the foreground water and then ask for a critique from the fab 5. Really cool how you got the night seascape from this one! You're really quite good to be able to paint from your imagination so well. The movement of color in your paintings is beautiful!